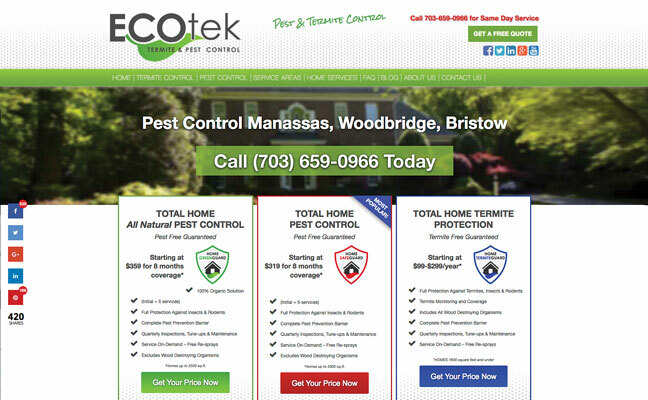 There comes a point when owners of successful pest control companies realize they are at a critical juncture: Is it time for a second location, either by opening a branch or selling a franchise? If the answer is yes, they have many decisions to make as a result — not the least of which is expanding their company’s online presence. ⦁ XYZPestControl.com/texas is the parent page with overviews and links to local service pages. ⦁ XYZPestControl.com/texas/dallas-pest-control is the Dallas-centric local page with product and service information. ⦁ XYZPestControl.com/texas/fort-worth-pest-control is the Fort Worth-centric local page with product and service information. The primary benefit of this type of structure is that most backlinks will point to the main page of the website/domain. The flow of the link equity can filter down to the location pages, and thus provide their own page authority. ⦁ TarrantCounty.XYZPestControl.com/service-areas is the parent page, with overviews and links to local service pages within Tarrant County, Texas. ⦁ TarrantCounty.XYZPestControl.com/service-areas/dallas-pest-control is the local page with Dallas-centric product and service information. ⦁ TarrantCounty.XYZPestControl.com/service-areas/fort-worth-pest-control is the local page with Fort Worth-centric product and service information. The benefit of using a subdomain as opposed to selling franchisees new domains that simply include the brand name (a la XYZPestControlFortWorth.com) is that a subdomain can actually still benefit as an established domain without starting from scratch. There is no need to endure a long wait for it to build its own level of trust and authority with search engines.